The Crow Reboot Loses Jason Momoa, Director | Nerd Much? The Crow reboot looks destined to remain in the shadows. In the works for nearly 10 years, the movie was seemingly closer than ever to becoming a reality. But the film’s lead actor and director have both now dropped out of, making the future of the project bleaker than ever. Davis Films holds the right to The Crow and was providing the finances required for the reboot. Back in September, Sony Pictures jumped aboard to serve as the worldwide distribution source for the movie. The ball began rolling from there. Production was planned to begin in August from Budapest, with a release date set for October 11th, 2019. Things have quickly unraveled though. The agreement between Sony Pictures and Davis Films was never fully completed. And due to creative and financial differences with the owner of Davis Films, Sony plans to exit The Crow reboot. This, of course, spells trouble for the project as a whole and created one hell of a ripple effect. Once word of Sony’s departure became known, two of the most important people on the project decided it was time for them to officially exit as well. Jason Momoa was set to star as Eric Draven, aka The Crow. 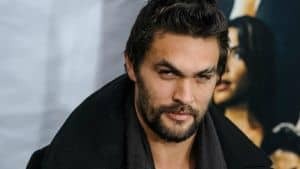 Momoa joined the reboot in September 2016, and yesterday he confirmed that he would be departing the role. Corin Hardy was hired to direct the upcoming remake back in December 2014. He actually dropped out of the project at one point before returning to it officially in June 2016. In conjunction with Momoa, Hardy too officially stepped down as the film’s director following the drama behind the scenes. We’ll have to wait and see whether Davis Films continues the fight to get this movie made. But without a leading man, director, or distribution partner, it’s unlikely at this point that The Crow will be flying to theaters anytime soon.